As summer comes to an end, the shorter days generally mean less time spent outdoors. Although the weather may still be hot and muggy, like it has been around here for the past week, the angle of the sun makes clear that it’s not July anymore. Still, I enjoy the peace and calm of September evenings. 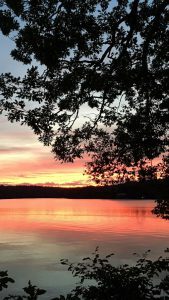 Even on days when I don’t go down to the river to row, I like to post sunset photos on my digital art display and imagine that I’m looking out over the water in some new and exciting place. I suppose the peaceful feelings that people get from pictures of calm rivers and lakes must go back to prehistoric times, when such landscapes usually meant that all was well—plenty of water to drink, along with fish and other food to hunt and gather. Probably there’s something deep down in the primitive parts of our brains telling us that we need to spend time in such places. 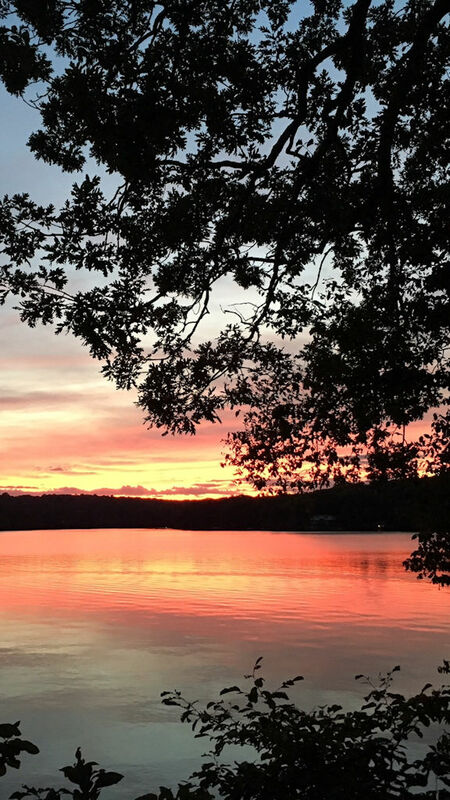 Wherever it may come from, I definitely feel refreshed when I walk by the river—or imagine myself looking out the window of a beautiful lakefront vacation home—as the evenings come earlier. A lovely post Meg. I agree with you, the images have good impact on our soul.